It’s another gift guide for you! 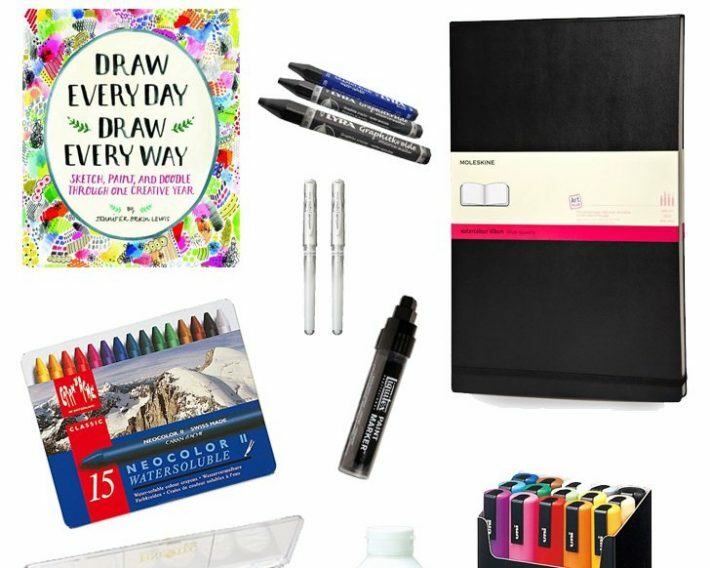 This time it’s full of supplies that any watercolor artist will love to have! 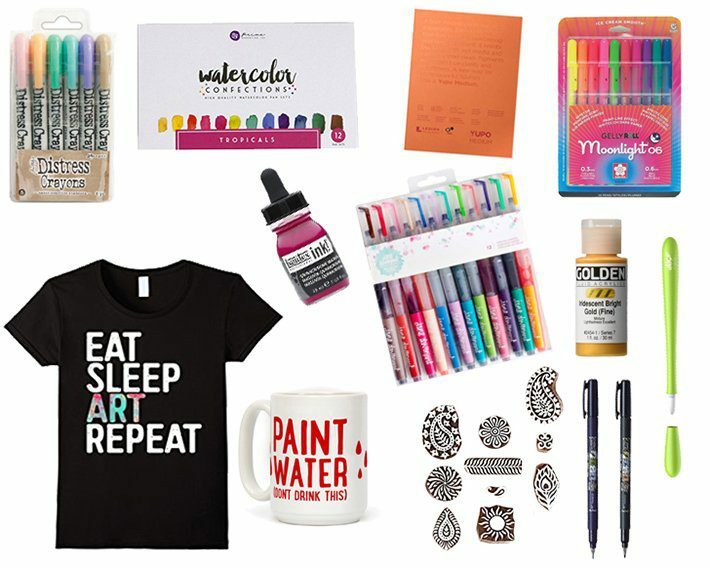 You can check out last year’s watercolor gift guide, and then add all of those to your list too 😉 Read on below to find 21 gifts goofor watercolor artists under $50. They are perfect for stockings, friend gift exchanges or just treating yo’ self! 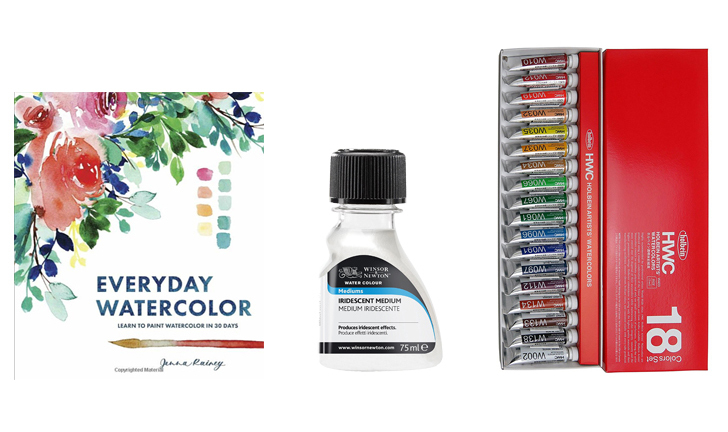 Everyday Watercolor: Learn to Paint Watercolor in 30 Days by Jenna Rainey This book is a great intro into the world of watercolor, but also a great resource for the seasoned watercolorist. It’s full of gorgeous art, step by step instructions and a ton of technical knowledge. Winsor & Newton Iridescent Medium This medium can be used to transform any watercolor into an iridescent version and I am obsessed. This is such a fun way to create your own custom iridescent colours! 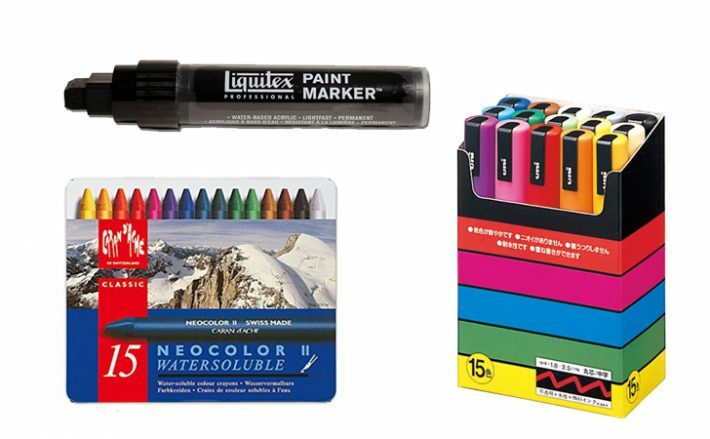 Holbein Artist’s Watercolors 18 Colour Set Holbein is one of my favourite watercolor paint brands, and this kit will set you up with all the “basic” colors to get you started. These paints are so pigmented, smooth and have terrific vibrancy! Must have. Brusho Crystal Colour by Colourcraft These powdered pigments are magical and a fun new way to work in a water based medium. You can sprinkle them, wet them, create paint with them or splatter them! Each color has several pigments in them. So, when you add water they produce a kaleidoscope of color on your page! 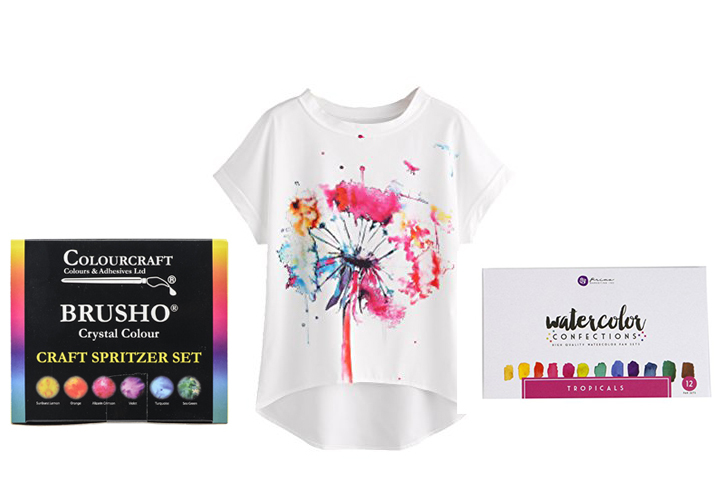 SweatyRocks Women’s Watercolor Tee is a perfect addition to any watercolor artist’s wardrobe! The comfy cut also means it is a great choice for wearing while working on your latest piece. Prima Marketing Watercolor Confections – Tropicals These paints have been all over Instagram this year, and you’ll see me share a few more sets below because they are just too amazing. 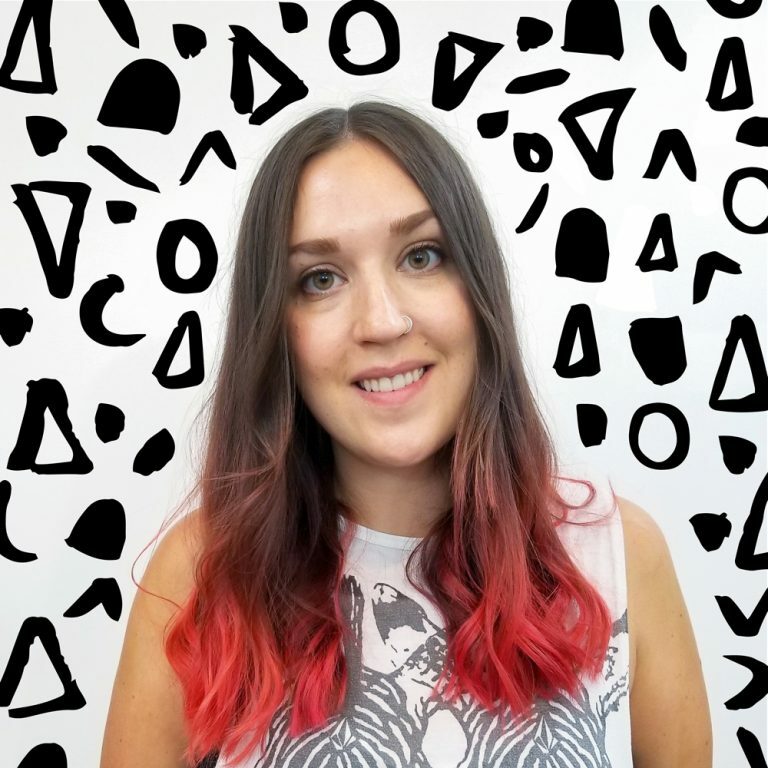 The colours and vibrancy are fantastic, and the curated color palettes are too yummy to pass up! Dr. Ph. Martin’s Bleedproof White Ink isn’t a watercolor, but it is a great white ink for adding highlights and details to your work! It’s been tried & tested by many artist’s and it always comes out a winner. Home Aid 40 Piece Half Pan Travel Tin This cute travel tin comes with 40 half pans and has over a dozen different tin patterns to choose from! How gorgeous is the moody flower one here?! 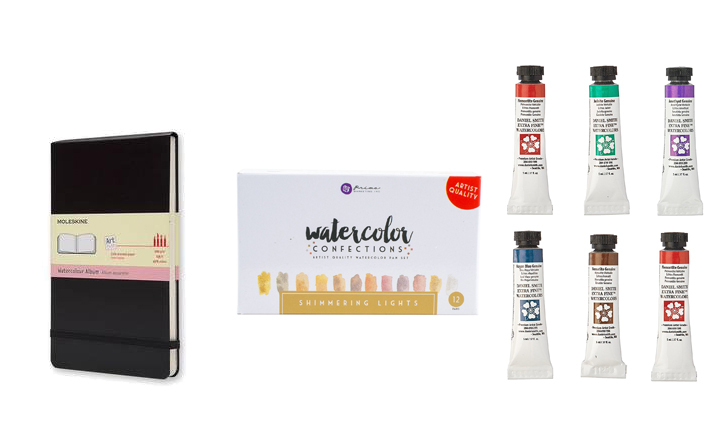 Prima Marketing Watercolor Confections – Pastel Dreams This set of watercolors by Prima Marketing comes in a lovely range of pastel shades that are perfect for painting everything from macarons to unicorns! Finetec Mica Pigment Pearl Watercolor Palette I have the Finetec Gold Palette which I am obsessed with, and the Pearl colours are on my wish list! These shades look so luxe and deep, I can imagine they are a dream to paint with! Daniel Smith Masking Fluid System This little masking fluid kit is a great stocking stuff, and it has great versatility for watercolor works! No more ruining paintbrushes with masking fluid! Instead, use the fine tip on this bottle to protect your paper from paint! Mini Hand Thrown Paint Palette I found this adorable little handmade palette, and guys, I would die to have this! I love the handmade feel of it and it has just enough wells to do some quick and simple paintings. Moleskine Watercolor Sketchbook – 5″ x 8″ This watercolor sketchbook is the perfect size for doing sketchwork in either at home or on the go. The paper holds up wonderfully and it’s small enough to tuck away. Prima Marketing Watercolor Confections – Shimmering Lights I am not even sorry for adding another set of Prima Marketing paints on here, because these ones look amazing too! This is a set of all iridescent metallic shades in the softest shades – you know need them! Daniel Smith Extra Fine Watercolor Set of Introductory 6 Recently I was introduced to Daniel Smith watercolors (I know!) and they are amazing to work with. This intro will make you fall in love with how smooth, vibrant and intense the pigment is in these! Caran d’Ache Sketcher Non-Photo Blue Pencil Set These blue pencils are used by illustrators and painters alike for initial sketches under their paintings. The blue is easier to paint over than graphite and they erase wonderfully. 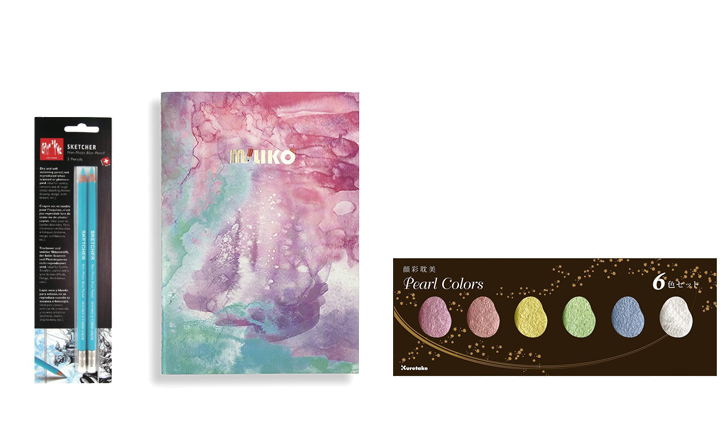 Miliko A5 Watercolor Notebook Set of 4 This set of watercolor themed notebooks are too cute! 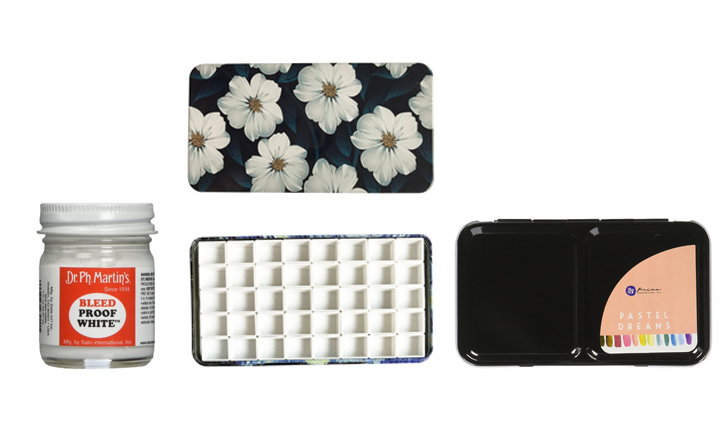 You can jot down your painting ideas and notes in these. Plus, there’s even enough in a pack to gift some if you want! Kuretake Gansai Tambi Pearl Colors AH, promise this is the last set of iridescent watercolor paints, but I just HAD to include these because look at those colours!! They are so bright and cheerful, then some shimmer added?! Yes, must own these! Yupo 100% Polypropylene Paper is a really fun new substrate to paint on, as it is basically a plastic sheet. It doesn’t absorb paint, so the watercolors sit on top and you can create some very cool effects! If you want to expand your watercolor substrate choices, then definitely give Yupo paper a try. Meeden 24 Half Pan Palette Case This travel tin comes with two palettes and even room to store some paint brushes in the center, which means you can take a wide ranging palette on the go with you! These half pans are perfect for squeezing your favourite tubes into and creating your own custom palette. Modern Watercolor by Kristin Van Leuven This is another great book on how to get started painting with watercolors, and is also a great resource for technical info and even watercolor lettering! The artwork is gorgeous and inspiring throughout with bright photos that make you want to grab your paint brush! 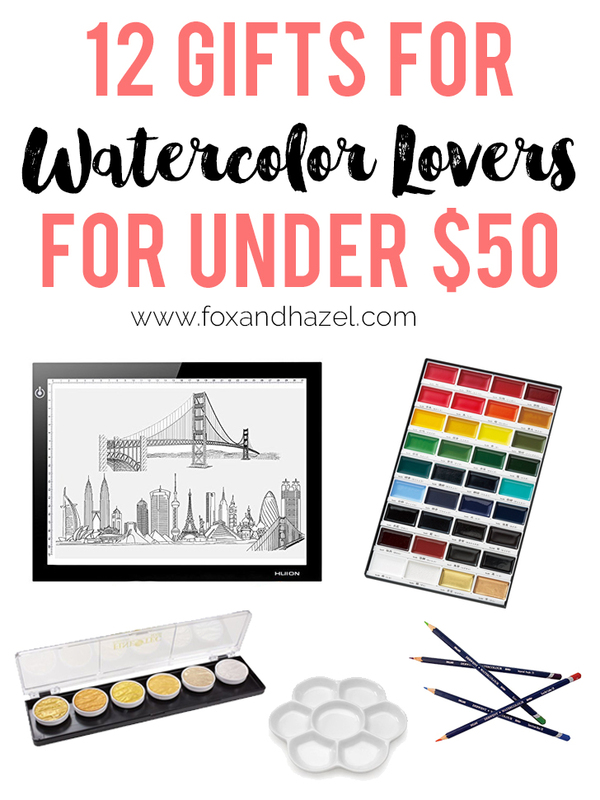 Looking for even more gift ideas for watercolor artists?